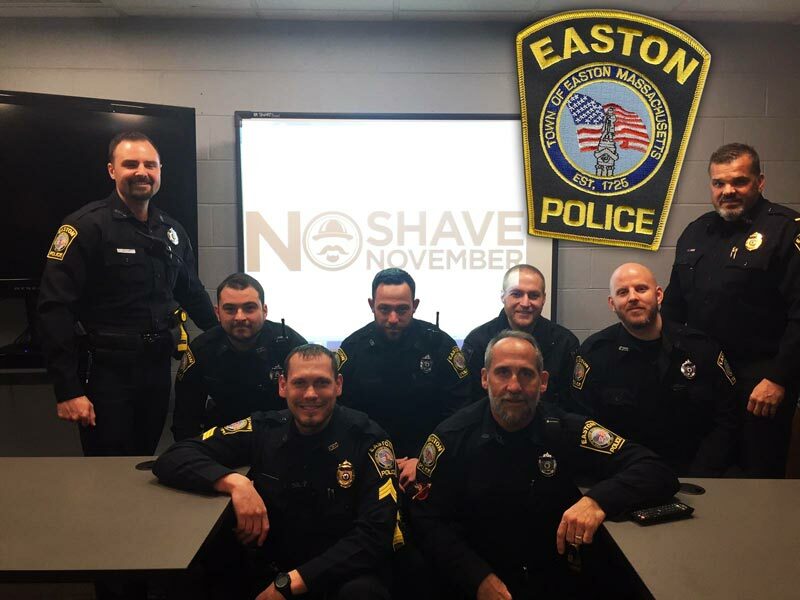 We would like to give a big SHOUT OUT to the Easton Police Department for participating in “No shave November” to benefit Cops For Kids With Cancer. The Easton, Massachusetts, Police Department is made up of three Divisions: Administrative & Support Division, Patrol Division, and Detective Division. There are forty five dedicated men and women serving in these Divisions as sworn police officers and civilian staff members. Our goal is to build partnerships with our citizens and community leaders and enhance the overall quality of life.